Midgame Moves: Is Time on Your Side? This article is part three of Midgame Moves, where we talk to World of Warcraft esports pros about the evolving strategy in the midgame of an Arena match. If you haven't already, catch up on parts one and two. Whether it’s counting down the moments until diminishing returns reset, a powerful ability comes off cooldown, or the seconds spiraling into dampening, time management is one of the most important things at the back of any player’s mind while in the Arena. Let’s take a look at three distinct situations where time plays a big role, and how to optimize for or against them. Nearly every Arena strategy revolves around drawing defensive cooldowns from the other team—even if you have to trade them—to ultimately leave your opponent at a disadvantage. Outlaw Rogues are especially good at this thanks to a pair of abilities that can really throw a wrench in the enemy team’s plans, Blind and Plunder Armor. Both are on two-minute cooldowns, which line up with trinket abilities. “[You] can either start with Blind when someone is low HP or swap to their healer with Plunder Armor to force [their] trinket, which causes the trinket cooldown to be desynced from Blind for a later setup,” says Method Orange’s Ryan “Trill” Costello. Tank comps, while sacrificing the raw power of a more focused damage-dealing comp, have the general end-game goal of going into dampening. Their greatest advantage is their larger health pools, or their ability to redirect damage being put into another target. People don’t lose to tanks, they lose to themselves because they can’t [directly] do anything to bring the tank down. Not every healer is well-equipped for heading deep into dampening, since the healing reduction makes their spells feel less and less effective. 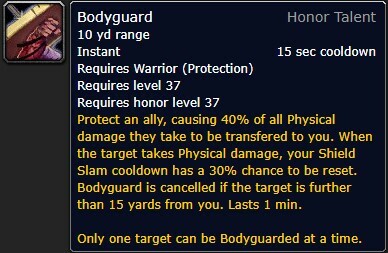 In a pinch, even one of the weakest off-healing spells—a Windwalker Monk’s Effuse, which has a fraction of the potency of an Elemental Shaman’s Healing Surge—can make the difference between life and death while waiting for a major healing cooldown to come up at the 11th hour. On the other side, some damage-dealing specs thrive in dampening. Shadow Priests or Destruction Warlocks hope the Arena game moves into dampening, where they can rot their enemies down in a war of attrition. A dire situation may present itself when health bars are low, mana is running dry, and defensive spells are spent. At this point, a team might decide to go all-in with whatever they have left, throwing out every last drop of damage the three of them can muster, hoping to squeak out a kill. It’s a big gamble that sometimes pays off, but, if not, the match likely already was lost. Stay tuned tomorrow for the fourth segment of Midgame Moves, as we highlight the importance of adapting on the fly.